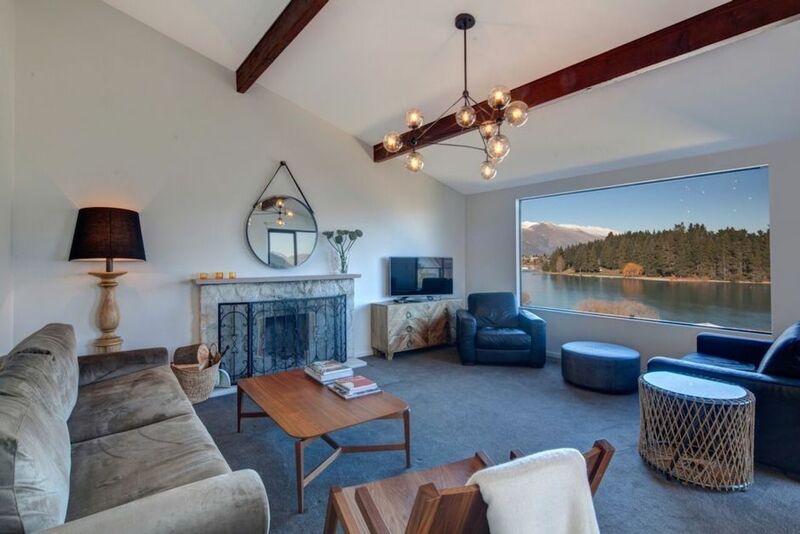 World class views including the iconic Remarkables Mountain Range, four generous bedrooms each with an ensuite bathroom, an open plan kitchen / dining entertainment area flowing to two separate living spaces both with decks are the hallmarks of this property. Beautifully styled with an eclectic mix of hand picked furniture and artworks which tastefully enhance the design and form focus of the interior of this home. Added luxuries include a Geneva sound system, iPad, bicycles to enjoy nearby tracks as well as a wood fired hot tub culminate to offer guests the ultimate in luxury and relaxation. Each booking at Twelve requires payment of a NZD $900 security bond which is due along with your final balance 30 days or more prior to your arrival. Guests need to be aware that a home is currently being built next door to the property. Car access unavailability a disappointment. Also the lack of a wheelie bin because the previous bin has 'gone missing' is not good enough for a property in this price range. The house bikes are a good initiative but one can't get them to the street! A larger supply of coffee pods is expected. Allow something like two coffees per person per day would be suitable. In our case there were about 20 pods for eight adults for six days and no instructions as to where to buy supplies.